Gandhinagar: Even as the electoral fever in Gujarat has reached its peak, PM Narendra Modi arrived in his home-state today on a whirlwind poll-trip to address four rallies in two days and also to hold various informal meeting with BJP leaders to give the final touches to the poll strategies. He would also come to Gujarat on April 23 when all the 26 LS seats of the state would go to polls simultaneously and cast his vote on a booth in Ranip area which falls under Gandhinagar LS constituency from where BJP president Amit Shah was the party candidate. 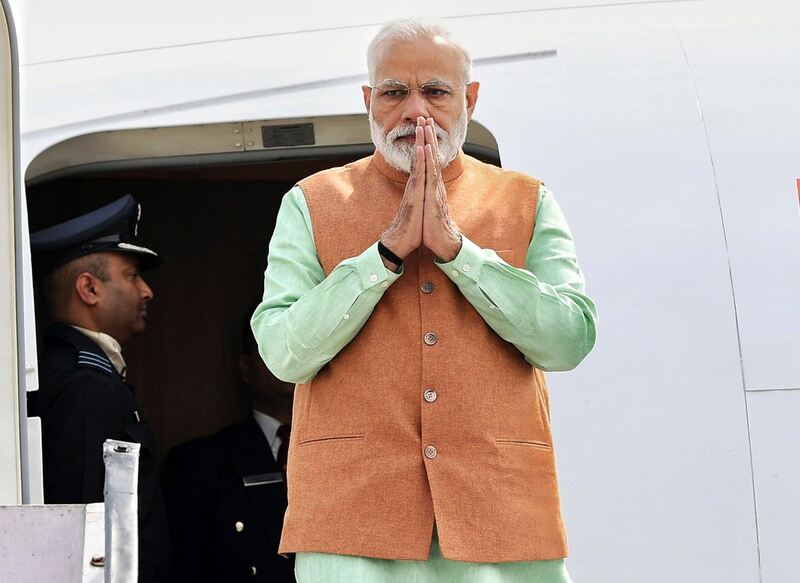 Modi arrived at Ahmedabad Airport and flew to Himmatnagar in Sabarkantha district of North Gujarat by chopper to address his first meeting of the day. He would also address two more rallies in Surendranagar and VV nagar in Anand district today. He will make the night halt at Rajbhavan in Gandhinagar and address another rally in Amreli tomorrow before flying to Karnataka. Modi had earlier addressed two rallies in Junagadh and Songadh. A senior BJP leader said that Shah himself would participate in a road-show in Sanand on April 21 the last day for campaign in Gujarat. Congress president Rahul Gandhi would also address election rallies in Gujarat tomorrow. All the 26 seats were won by BJP last time around.